I'm becoming a little obsessed with the delicious combination of cranberries and oranges. I just knew they'd be a great duo in cocktails. I looked up a couple cocktail recipes today for inspiration, and I also created one based on one of my own recipes. 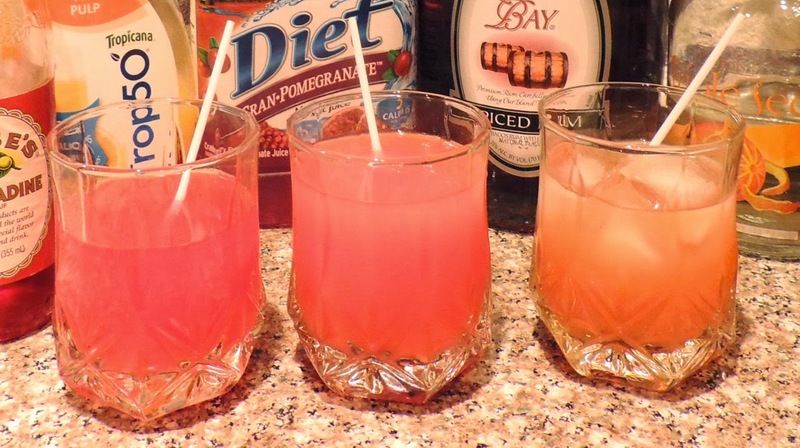 I think recipe #3 is my personal favorite, but I suggest trying all three and deciding for yourself. All three recipes have less than 160 calories each! 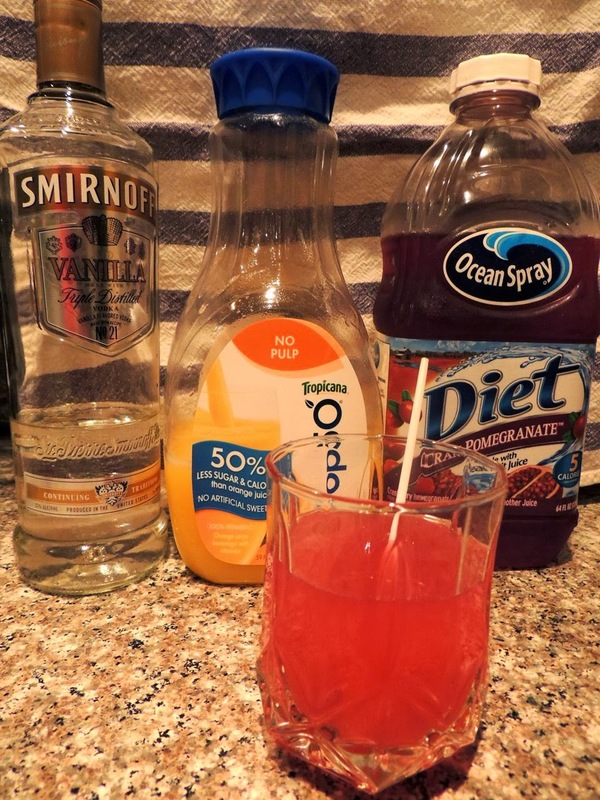 I love making cocktails low-cal. 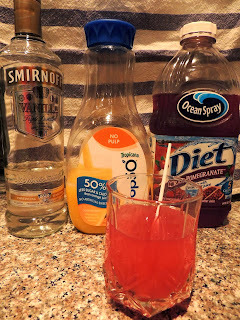 :) For all of these recipes, I used Ocean Spray Diet Cran-Pomegranate™ Cranberry Pomegranate Juice Drink and Trop50 No Pulp orange juice. Nutrition info is based on using these low-cal mixers. You can use regular cranberry and orange juice if you prefer, but it'll add calories, and I promise that the low-cal versions are super tasty! 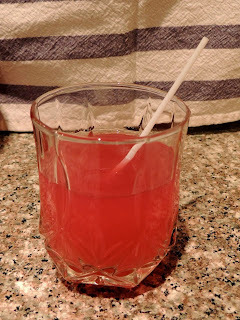 This recipe is inspired by a recipe I found at about.com, but my version only has 112 calories! 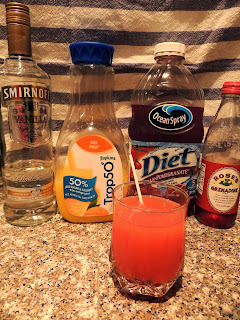 Pour all ingredients in a cocktail glass and stir well. 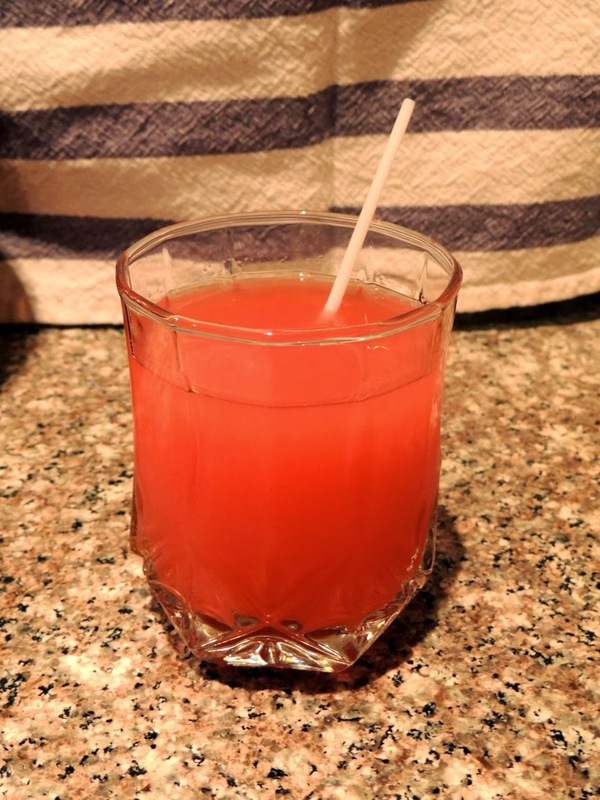 This recipe is inspired by drinksmixer.com, but my version only has 107 calories! 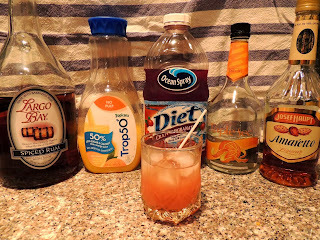 The "O" stands for Ocean Spray cranberry juice which I've used in place of the pineapple juice in my Ono Mai Tai recipe. 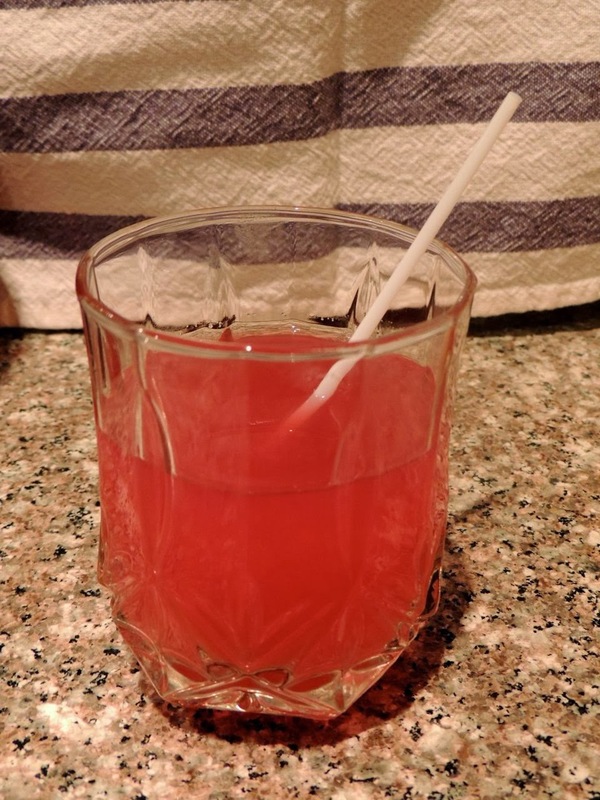 One drink only has 158 calories! 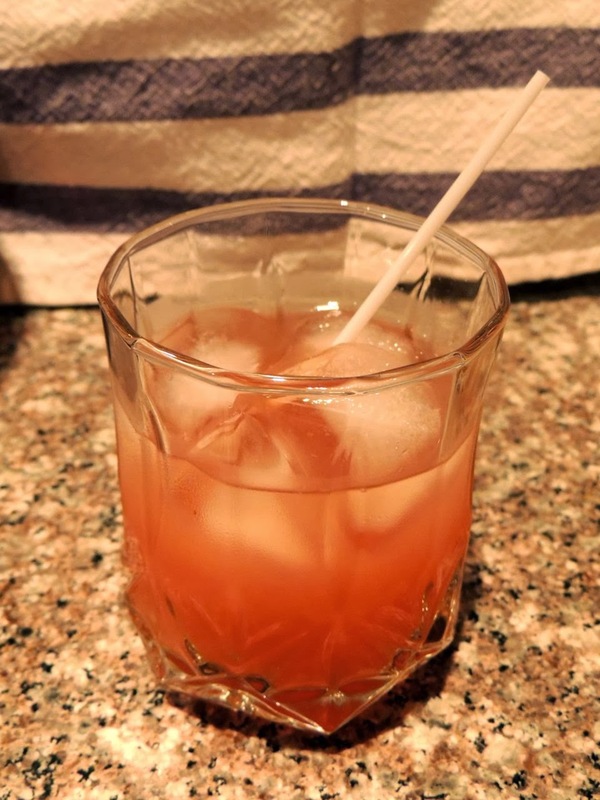 Put 4 large ice-cubes (or equal amount crushed ice) in a cocktail glass. Add all of the remaining ingredients and mix well. So, what are you waiting for? 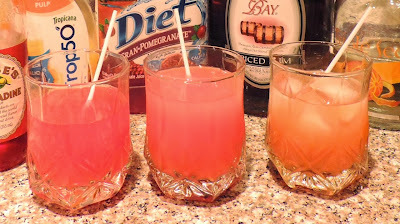 Mix up these skinny cocktails, and serve them up this holiday season on Thanksgiving, at your Christmas Party, or at your New Year's Eve bash! You could even mix up a huge batch and serve it in a punch bowl.